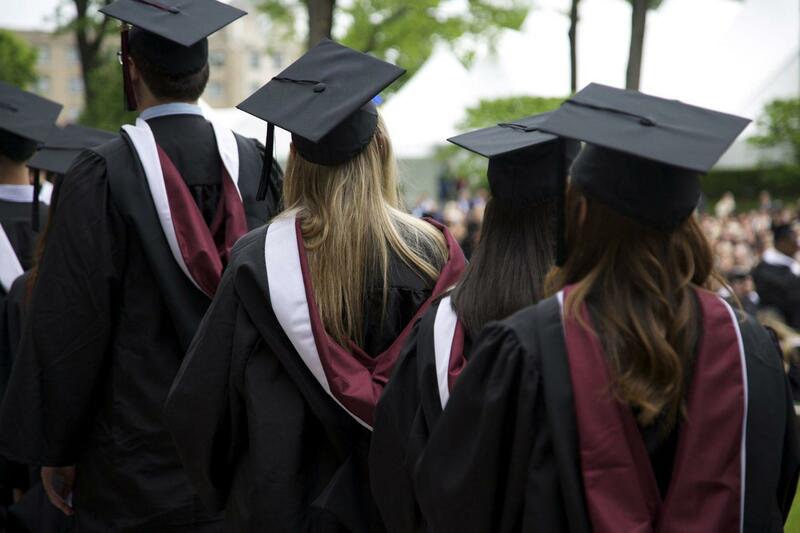 On Saturday, May 21, Fordham University celebrated its 171st Commencement at the Rose Hill Campus. David J. Skorton, MD, the 13th secretary of the Smithsonian Institution in Washington, D.C., an accomplished cardiologist and former university president, delivered the keynote address to the Class of 2016. Honorary doctorates of humane letters were awarded to Dr. Skorton and to Judith Altmann, vice president of the Holocaust Child Survivors of Connecticut; Gregory Boyle, SJ, head of the gang-intervention group Homeboy Industries; Maurice “Mo” Cunniffe, FCRH ’54, a successful businessman and key supporter of Fordham; Patricia David, GABELLI ’81, global head of diversity for JPMorgan Chase; and Sr. Carol Keehan, DC, president and CEO of the Catholic Health Association of the United States. Honorary doctorates of fine arts were awarded to Robert Battle, artistic director for the Alvin Ailey American Dance Theater, and to Henry Cobb, founding partner at the architecture firm Pei, Cobb, Freed & Partners and co-designer of Fordham Law School’s new building. Congratulations to all of the graduates, family and friends of the Class of 2016!